Homeowners’ associations (HOAs) and condo associations are governed not only by state statutes and regulations, but also their own bylaws, declarations, and articles. At St. Denis & Davey P.A., our lawyers are dedicated to helping associations fight premises liability claims and other types of litigation involving homeowners’ associations. Whether your association is facing a case alleging responsibility for water damage in a homeowner’s unit, or a personal injury lawsuit initiated by a repair company’s worker, our firm can help you assess the situation, determine your course of action, and seek an appropriate settlement or alternative resolution. Our Miami and Jacksonville HOA lawyers assist associations at all levels of the legal process, from initiation and investigation to negotiations with insurance companies or other parties until the conclusion of litigation. Generally, homeowners must maintain what is contained within their unit’s boundaries, while the association is responsible for maintaining common areas and elements, as well as some limited common areas. For instance, an association typically will be responsible for upkeep from the drywall to the outside area, while an owner would be responsible for areas inward from the paint. Both associations and owners are required to provide and maintain certain insurance coverages for their respective areas. Issues often arise when there is damage caused by a problem located in a disputable area. Each unit owner is responsible for repairing his or her own unit. If there is a leak stemming from a roof maintained by the association or a burst water pipe contained within a common wall, the unit owner must inform the association to give it time to investigate and take proper action. An investigation into the source of any damage is normally conducted by an insurance company to determine which policy may cover it. Sometimes, a homeowner unhappy with the outcome of such an investigation may pursue legal action against an association to shift the blame. In these instances, the homeowner will have to show that the association breached its duty to act with reasonable care in the specific circumstances. The alleged negligence also must have led directly to the unit owner’s harm, and actual costs and losses must have resulted from it. In defending these claims, an HOA attorney at our Jacksonville and Miami firm sometimes may try to show that the owner was actually negligent in either causing the leak or delaying notification to the appropriate parties. Other claims that associations may face include those initiated by companies or individuals hired to make repairs around the community. Professional vendors and other service providers are required to provide their own insurance regarding their activities. However, if these entities fail to maintain proper insurance, an association may become susceptible to premises liability claims. These cases may also often be successfully defended, however. For example, a contractor may have signed a contract with the association verifying its insurance limits before work began, and a failure to provide that insurance may have constituted a breach of contract. Despite any agreements, an association still might be liable for workers hurt on its property unless the association can prove it acted with due diligence. Consulting a defense attorney for guidance can be vital to limiting your association’s liability and reaching a fair settlement. With multiple parties, regulations, and rules at play in claims against associations, they can be quite complex and involve meticulous investigations. 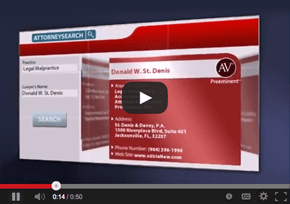 The association attorneys at St. Denis & Davey P.A. zealously defend organizations in Jacksonville, Tampa, Miami, and other cities in Florida. 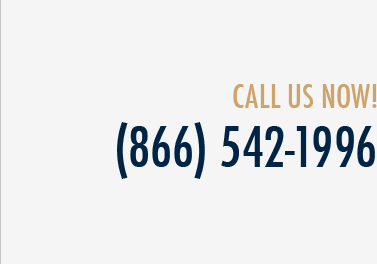 You can reach us at (800) 785-2153 or (800) 775-8571, or you can contact us online to set up an appointment with a Miami or Jacksonville HOA attorney.